Here at Derby County Community Trust, we are pleased to endorse, promote and work alongside ‘Show Racism the Red Card’. We want to promote their core values and support tackling discrimination in our local communities to increase social cohesion. As an organisation we work hard to promote social cohesion and celebrate the diversity of our communities in which we work. 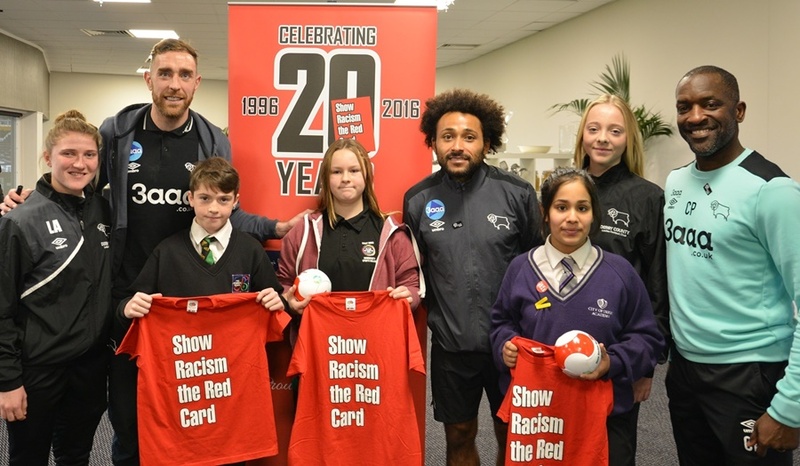 On Thursday 24th November, Show Racism the Red Card (SRtRC) held an educational event at the iPro Stadium in partnership with Derby County FC, Derby County Community Trust and Derby City Council. 120 young people from local secondary schools attended the event which saw the Year 7’s take part in a SRtRC workshop, watch the SRtRC educational film and were involved in a Q&A with a panel of special guests. Pupils from Bemrose, City of Derby Academy, Merrill Academy and Derby Moor arrived at the stadium and headed to the Dave Mackay suite where they would spend the remainder of the afternoon. After a quick introduction to the afternoon the young people went straight into an educational workshop which was led by Education Worker, Francis Duku, from SRtRC. The workshop made young people explore stereotypes and think critically about the way in which we stereotype. The young people engaged in thoughtful and honest conversation with their peers about the dangers of stereotyping. With suspicion building among the young people of who might be attending the Q&A it was time to introduce the panel. Cabinet Member for Cohesion and Integration, Councillor Afzal, was the first to join the panel. Louisa Abbey and Ellie May from Derby County Ladies FC also took time out of their day to attend the Q&A. Adding to the panel was Genie Hayer from Derby County FC supporters group, The Punjabi Rams. SRtRC Education Worker and former Footballer, Francis Duku, was next to join the panel. First Team players Ikechi Anya and club captain, Richard Keogh, came down to the event to answer question from the young people. And finally, to finish of the already fantastic panel was Derby County FC Assistant Manager and long-time supporter of SRtRC, Chris Powell. Young people from each school put forward a variety of questions to the panel regarding racism. What would you if you saw someone suffering from racist abuse? 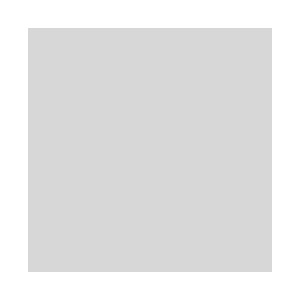 Have you ever heard or experienced racism? Has anybody you know suffered from racism? Were just a few examples of the questions that the panel were taking it in turn to answer. The current players explained to the young what they should do if they experience racism and who they can report it to. The other panel members provided brilliant advice for the young people on how to report racism and what each person can do to tackle racism. Prizes were given out to the three best questions asked to the panel, the prizes which had generously been donated by Derby County FC included match tickets and a football signed by the First Team. Show Racism the Red Card would like to thank everyone at Derby County F.C for their support in organising the event, a special thanks to Gavin Lewis for all his help and support. A big thank you to Derby City Council for their continued support of the campaign and for giving SRtRC the opportunity to carry out educational work in the area. The campaign would also like to thank Pav and Genie from the Punjabi Rams for attending the event and taking the time to sit on the panel and answer questions from the young people. The power of role-models to educate young people should never be underestimated, therefore, a massive thank you to Ikechi Anya, Louisa Abbey, Richard Keogh, Ellie May, Francis Duku and Chris Powell. And finally, Show Racism the Red Card would like to thank all the young people for their honest engagement from start to finish.